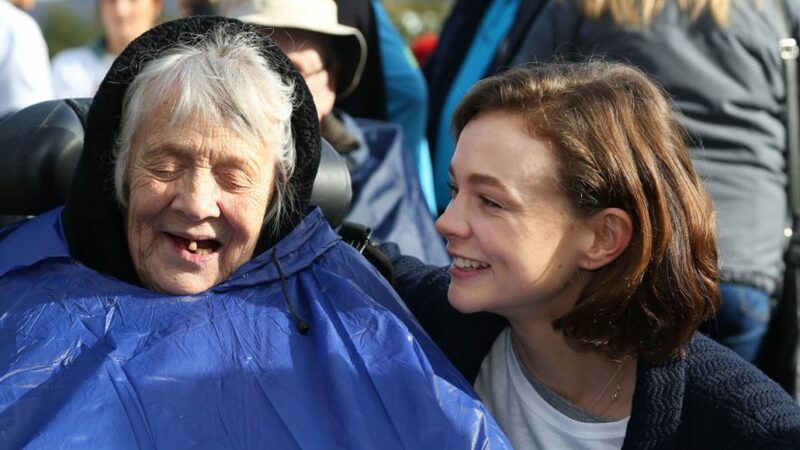 Carey Mulligan speaks about her grandmother, Nans, who lived with Alzheimer’s for half the time Carey knew her. I have had the privilege of being an ambassador for Alzheimer’s Society for a number of years now. My grandmother, Nans, lived with Alzheimer’s for half the time that I knew her. It was a frightening and upsetting for everyone, but especially terrible for Nans. By the time I reached my twenties, Nans had moved into a care home. Over the ensuing years she communicated verbally less and less. For a woman who had previously had such command of vocabulary and conversation, this was heartbreaking. For a brief period she wanted out, wanted to go back to her home in Llandeilo where she had lived for so many years. She was understandably upset, and frustrated at losing her independence, but with time that passed. She lived in a care home in Pontardawe for 10 years and I now regard the staff in that home as family. By honouring the individual’s unique personality, history and character, it was possible to live well with dementia. They held our hands on a journey through a new and very different phase of Nans’ life. They showed us that by honouring the individual’s unique personality, history and character, it was possible to live well with dementia. Every resident had a biography written up in their room so that all her carers knew who it was that they were caring for. They knew the life that Nans had lived prior to coming to live there, who had been in her life, and who was in her life now. Photographs of her family, postcards and birthday cards adorned her walls. There was never a dull moment when we went to see Nans in her care home. The care home she lived in for many years is a vibrant place to visit, with conversations happening (even when they are occasionally one sided), music playing, films showing, a song and dance man singing old classics. All the holidays are celebrated; it is standard fare to be greeted at the front door by a nurse wearing bunny ears or a Santa hat. Life is truly being lived in this place; differently, maybe, but it being grasped with both hands nonetheless. The day that Nans passed away, two staff nurses came to visit her. They stayed for more than three hours, chatting to her and my mum and keeping them both company. It was their day off. A week or so later the family gathered at a chapel in Wales. It was the chapel where Nans was christened, where she had been married, and where we came to say goodbye. As I sat in the chapel and thought about my life with Nans it struck me how many beautiful memories I had and how lucky I had been to have her as my grandmother. And what occurred to me was how many of those memories were from her time living in the care home in Wales. I hold the memories as fiercely as all of those before Nans became ill. I remembered sitting with her listening to opera music together as she tapped her hand in perfect time. I remembered my husband playing a mandolin for her when they first met and the smile on her face. I remembered whispering in her ear before almost anyone else knew that I was expecting my first child. I remembered the look of utter contentment on her face when my mother kissed her face. I am so lucky I had those times with her, and I hold the memories as fiercely as all of those before Nans became ill. I wouldn’t sacrifice them for anything. Nans may not have been able to speak the words but the warmth and love and joy of all of those moments were as real for her as they were for me. There are 850,000 people with dementia in the UK alone – someone develops the condition every three minutes, yet too many are isolated, unsupported and lonely. 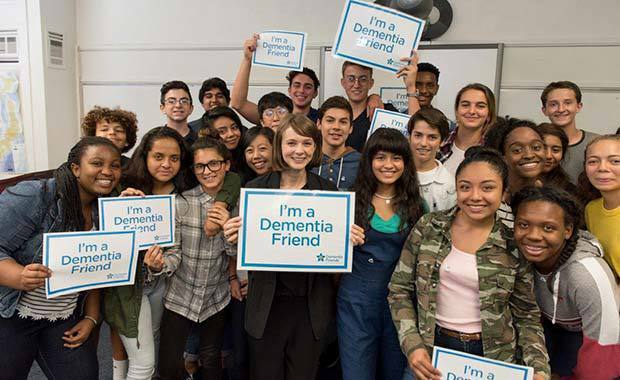 This week, Alzheimer’s Society announced that there are now two million people signed up as Dementia Friends, the charity’s initiative to tackle the way people think, talk and act about dementia. 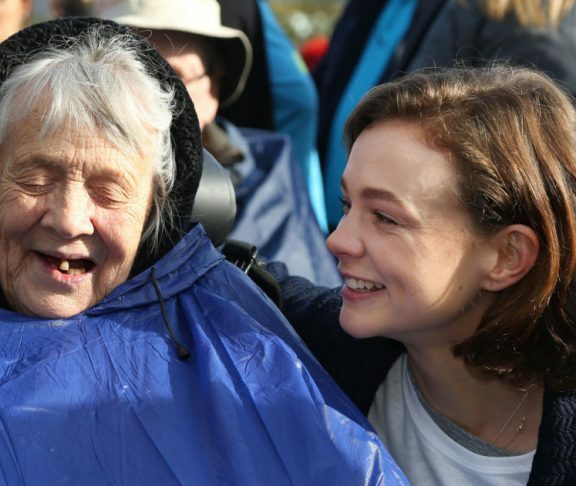 But we have a long way to go for all of society to be understanding and accepting of the condition, so people with dementia don’t have to struggle alone. Let’s do everything in our power to make sure people don’t have to face dementia alone. So here is my plea. This World Alzheimer’s Day – and beyond it – let’s do everything in our power to make sure people don’t have to face dementia alone. Let’s speak up and speak out about dementia so awareness and understanding across society is improved. 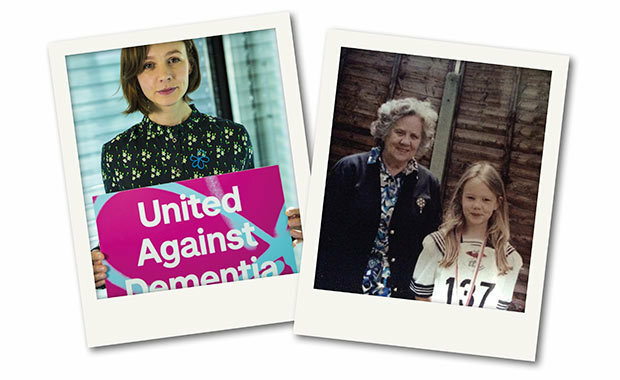 Let’s come together and unite against dementia. If you have a loved one with dementia, spend time with them. Love them, the same way you always have.